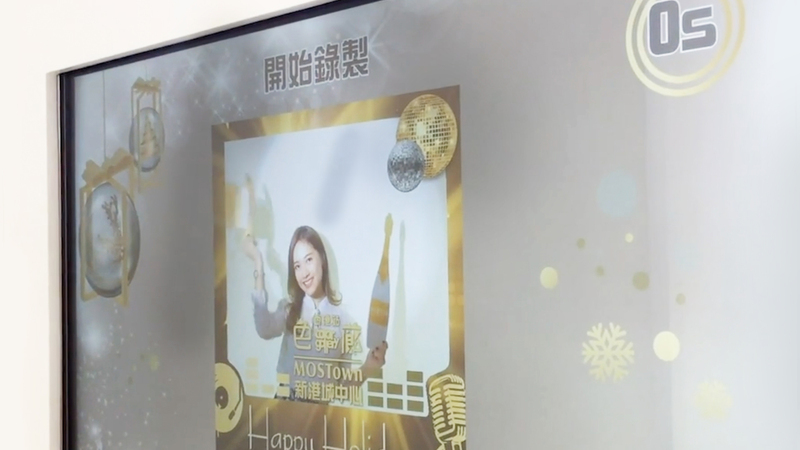 3Eyes cooperated with MOS Town to develop a photo booth with Christmas theme in their mall. After purchasing in MOS Town, visitors can play the photo for once. They can take photo and record festive greeting video, as greeting sharing to their friend and relatives. We provide a photo booth solution and instant photo printing for client that allowed visitors to take, print photo, and record video. With the QR sharing, visitors can instantly download the video and share to FB or IG.